Lindsay Lohan in court at the L.A. Superior Court Airport Branch. Terra TV(in orange jumpsuit) interviewing KTLA's Elizabeth Espinosa(L). 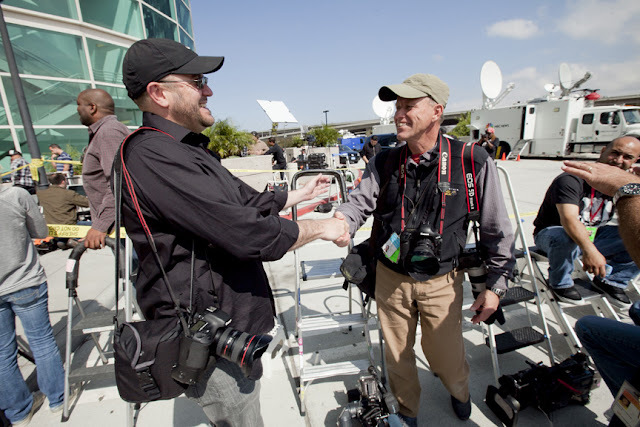 Jonathan Alcorn (L) shaking hands with LAT photographer Al Seib(R), safe and sound.